Remembering North Korea's Audacious Capture Of The USS Pueblo 50 years ago North Korea attacked and captured a U.S. Navy spy ship. The U.S. chose negotiation rather than force to free the crew. Both sides learned lessons that resonate to the present day. Lt. Cmdr. Lloyd Bucher, commander of the USS Pueblo, leads his surviving crew members as they arrive in North Korea following their capture on Jan. 23, 1968. Bob Chicca is a retired Marine staff sergeant whose uniform is on exhibit in the capital of North Korea. It's in a display case aboard the USS Pueblo, the only commissioned ship in the U.S. Navy held in captivity. Visitors now tour the ship, which is moored along a Pyongang river, as part of North Korea's Victorious War Museum. Chicca was one of the Pueblo's 83 crew members. He and the 81 others who survived an artillery barrage on the high seas were taken captive by North Korea, along with their ship, on January 23, 1968. 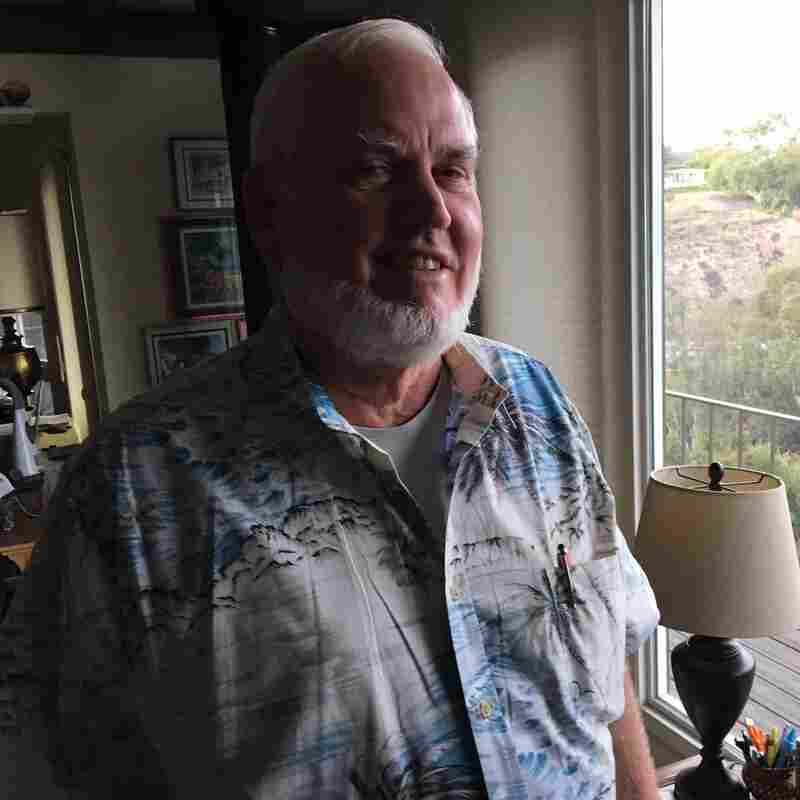 "We were an experiment that was deemed, I don't know whether it would be a failure, but it certainly didn't work," Chicca, now 73, recalls at his home in the San Diego suburb of Bonita. Hanging in Chicca's living room is a wide oil painting that vividly portrays North Korea's assault on the Pueblo. Two submarine-chasers, four torpedo boats and two Mig-21 jet fighters attack the ship as black smoke rises from its deck. "I got shot in the capture, right there in those flames," Chicca says, pointing to the embattled vessel. A 57 mm shell hit Chicca in the groin after tearing through two other crew members, killing one of them. The American spy ship managed to make radio contact with U.S. forces in South Korea during a nearly three hour standoff with the North Korean gunboats. "The last conversations we got over the radio were that help was on the way, and it obviously wasn't," Chicca recalls. "I could not believe that we would be abandoned out there the way we were." An overflight by a squadron of F-4 Phantom jet fighter-bombers had been promised, but it never took place. U.S. officials would later explain that the aircraft, whose mission was to respond to any nuclear strike the Soviet Union might carry out, were outfitted to carry nuclear rather than conventional bombs. In the end, the Pueblo's skipper, Lt. Cmdr. Lloyd "Pete" Bucher, decided to do what few other captains of U.S. naval vessels have done: he gave up the ship. Bob Chicca points to the spot on the deck of the USS Pueblo where he was wounded by a 57 mm shell during the attack on the ship by North Korea. "He definitely made the right decision," says Dunnie Tuck, one of the ship's two civilian hydrographers. "They (the North Koreans) were going to board us and they were definitely going to sink us if we kept going." It's not how things were supposed to go. 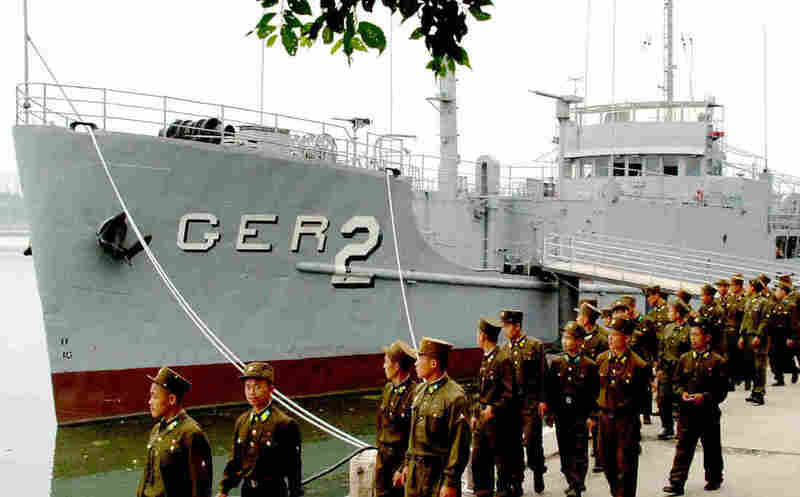 The USS Pueblo, misleadingly identified on its hull as GER-2, was on its maiden mission as a spy ship for Naval Intelligence and the National Security Agency. Originally a World War II vintage cargo hauler, the Pueblo was posing as an environmental research vessel when it sailed into international waters off North Korea's eastern coast. It was January of 1968, and even with both the Vietnam War and the Cold War raging, American military officials expected the Pueblo would have no trouble — as long as it kept to international waters. "The Pueblo was a good symbol of America's Cold War myopia," says Korea expert and Ohio State University historian Mitchell Lerner. "(The crew members) were sent out there because the U.S. military said the Soviets run similar operations against us and we accept it and they accept it and no one ever said, 'Wait a minute, you're sending this ship to North Korea. That's not the Soviets.' "
Lerner says the Pueblo, armed with some handguns and a pair of .50-caliber machine guns trapped under ice-coated tarps, was a sitting duck. "They were just completely unprepared and outgunned, just a total disaster," Lerner says. "And it was the men who paid the price." That price would prove enormous. North Korea seized the Pueblo claiming the spy ship had intruded in its territorial waters, and it was determined to wring public confessions of wrongdoing from the vessel's crew. "We got terrible beatings," Tuck, 80, recalls from the crew's time in captivity. "Head beatings, rifle butts and broomsticks - I had two chairs broken over my head." Crew members initially resisted confessing to a violation of North Korea's territorial waters because they say it never occurred. Eddie Murphy was the USS Pueblo's executive officer and navigator. He insists the ship never violated North Korea's territorial waters. 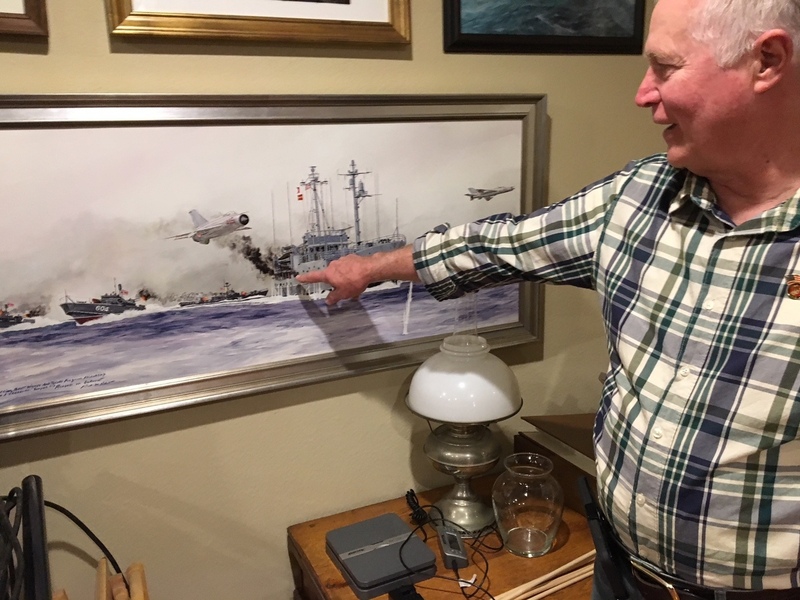 "You're talking to the navigator - at all times we were in international waters," says the Pueblo's former executive officer, retired Lt. Eddie Murphy. "We never violated the twelve-mile limit, never penetrated the twelve-mile limit." North Korea's brazen capture of the Pueblo caught Washington flat-footed. "What's your speculation on what happened?" President Lyndon Johnson is recorded asking the next morning in a phone call to Defense Secretary Robert McNamara. "Mr. President, I honestly don't know," McNamara replies. "I think we need a Cuban missile crisis approach to this, and goddamn it, we ought to get locked in a room and you ought to keep us there, insist we stay there, until we come up with answers to three questions: what was the Korean objective, why did they do it; secondly, what are they going to do now - blackmail us, let it go; and thirdly, what should we do now?" North Korea's seizure of the Pueblo came three days after 31 North Korean commandos sneaked into Seoul in an unsuccessful attempt to assassinate South Korean President Park Chung-hee. The Pueblo's crew had not been informed of the raid, in which 26 South Koreans were killed. While South Korea currently supports resolving conflicts with the North through diplomatic means, this was not the case at that time. "The South is really irate and they are demanding that they march north and that the United States back them up," says Lerner. A naval blockade of the heavily fortified North Korean harbor of Wonsan, where the captured Pueblo was moored, was considered too risky. Seizing North Koreans on the high seas was dismissed on the grounds that Pyongyang would care little about hostages. The use of tactical nuclear weapons was briefly broached, then rejected. 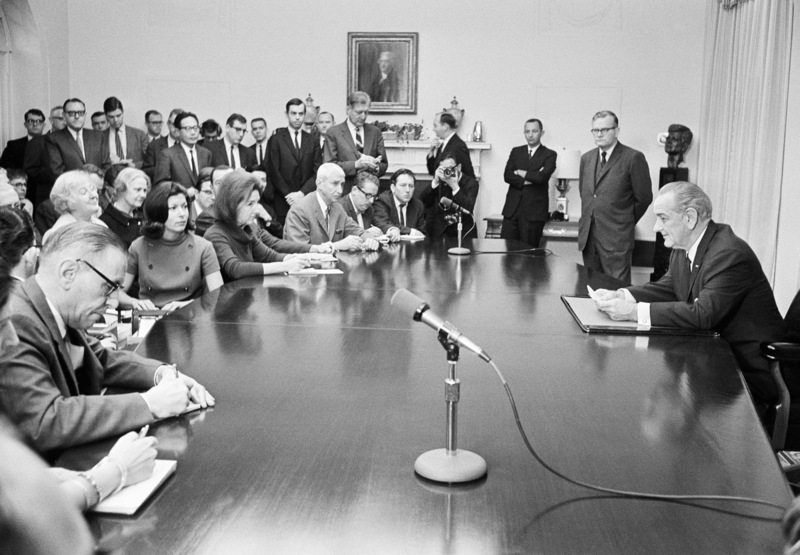 President Lyndon Johnson prepares to open a press conference in the Cabinet room of the White House on Feb. 2, 1968, when he announced that U.S. and North Korean officials were meeting to discuss the USS Pueblo. In the end, Johnson opted for a symbolic show of force. Some 350 U.S. combat aircraft were moved to American bases in South Korea. Army reserve units were called up in the U.S. Two other aircraft carriers and about 25 warships joined the USS Enterprise in the Sea of Japan. "They just basically steamed around in circles for several weeks," says Jack Cheevers, author of Act of War: Lyndon Johnson, North Korea, and the Capture of the Spy Ship Pueblo. "It was very cold, obviously, in the Sea of Japan during the winter months, and eventually they were told to stand down." Months later, McNamara's successor as defense secretary, Clark Clifford, would tell Congress a military rescue of the Pueblo and its crew had been out of the question. "One of the main reasons we didn't go in there with an attacking force," he testified, "was that we would not get our men back; that would pretty well assure their destruction." Cheevers says some in the U.S. were furious about both the Pueblo's capture and the lack of any forceful U.S. military response. "The White House was being flooded with telegrams from angry Americans around the country," says Cheevers, "calling [Johnson] a coward, saying that the American emblem should be changed from an eagle to a chicken." But neither those in the Johnson White House nor many other Americans had much appetite for another armed conflict. "You have to remember that the Pueblo was captured at the height of the Vietnam War, and public opinion was really turning against the war at that time," says Cheevers. "The last thing we wanted was, in addition to fighting in Vietnam, to have to fight against the North Koreans and potentially the Chinese on the Korean peninsula." So the U.S. settled for pursuing a diplomatic solution: talks with North Korea at the Panmunjom truce village along the demilitarized zone dividing the two Koreas. The talks, at least initially, bore little fruit. "The report that we are close to effecting a resolution to the problem is untrue," Defense Secretary Clifford told Congress in May 1968. "We are not close to it - they continue to be intransigent, but we're going to continue to try to work with them." Meanwhile, the ordeal of the 82 imprisoned crew members continued. "My ear lobe on the right side was just hanging by a small part of the skin," Murphy, the ship's executive officer, says of a torture session where his head was beaten with rifle butts. The damage was psychological as well. "My room was right next to the torture room," Murphy continues, "and I heard every blow that every one of the sailors got, and some of those sessions still flash back in my head." Lt. Cmdr. 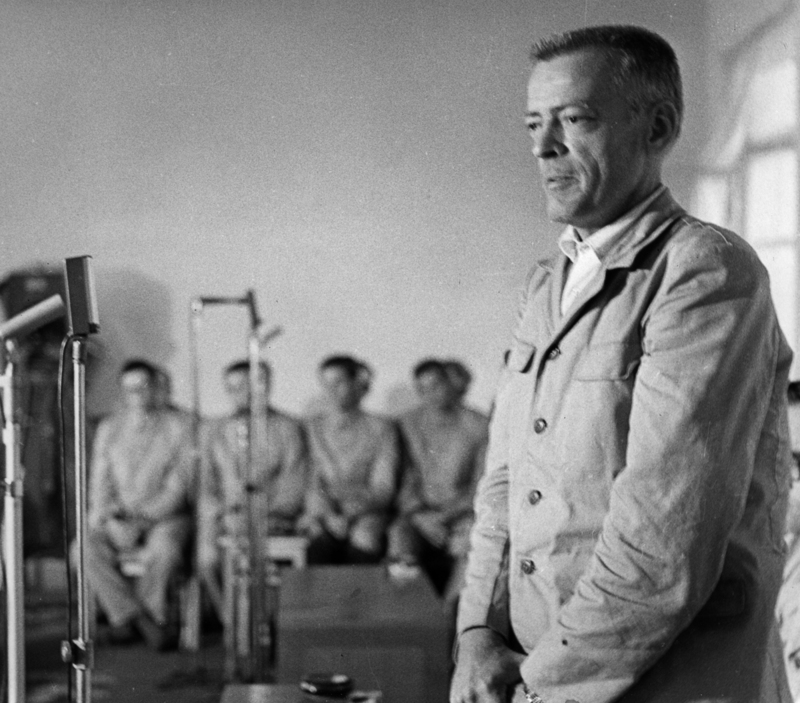 Lloyd Bucher, commanding officer of the USS Pueblo, confesses to espionage at a press conference in Pyongyang, North Korea, in 1968, with crew members looking on. North Korea eventually got the confessions it sought. "We intruded into the territorial waters of the Democratic People's Republic of Korea and committed hostile acts," Pueblo skipper Lloyd Bucher finally declared. He did so after being told that if he failed to confess, his crew members would be executed, one by one. But Bucher also managed to insult the unsuspecting North Koreans by declaring, "my fervent desire to paean the Korean People's Army, Navy and their government," pronouncing paean "pee on." And crew members routinely lifted their middle fingers while being photographed in captivity, telling their captors it was a Hawaiian gesture for good luck. They were severely punished during what became known as "hell week" after North Korea caught on to their ruse. At the Panmunjom talks, North Korea demanded the U.S. sign a document known as the three A's: Admit wrongdoing, Apologize for it, Assure it will never happen again. It was the wife of one of the American negotiators who came up with the formula that ultimately freed the crew. "She said right off the top of her head, well just offer to sign the letter," says Ohio State's Lerner, "and repudiate it at the very same moment that you're signing it." It worked. U.S. Army Maj. Gen. Gilbert Woodward, the top U.S. negotiator, made clear before signing the letter that it had been drafted by North Korea. "I will sign the document," he declared, "to free the crew and only to free the crew." The date was Dec. 23, 1968, exactly 11 months after the Pueblo's capture. One by one, led by Lt. Cmdr. Bucher, the 81 other crew members walked from North Korea over the Bridge of No Return at Panmunjom to South Korea. From there, they were flown to a Christmas Eve heroes' homecoming in San Diego. "People were shoulder-to-shoulder on the road," Murphy, the ship's second-in-command, says, choking up as he recalls their return. "It still takes my breath away thinking of that kind of welcome." The USS Pueblo is moored in Pyongyang, North Korea, and is open to the public as a museum. It was never decommissioned and is the only U.S. naval vessel in captivity. But the USS Pueblo itself remained in North Korean captivity, as it does to this day. So did ten encryption machines and thousands of pages of top secret documents seized from the ship. "There'd been a tremendous loss, much worse than than originally was feared," says Act of War author Cheevers. "One of the NSA historians described it as everyone's worst nightmare, and it was considered the worst intelligence loss in modern history." Today aboard the Pueblo in Pyongyang, visitors are shown a video featuring a narrator who triumphantly proclaims, "The U.S.. imperialists went down on their knees again before the independent army and people of Korea, and signed the instrument of surrender." "It was a ransom note that was signed by Gen. Woodward," says Murphy of the pre-repudiated confession that freed him. "Did our administration save lives by doing what they did? Saved my life. " The Pueblo incident, as it came to be known, also left its mark on Johnson. "In his memoirs," says Ohio State Korea scholar Lerner, "he said, 'If there is one day for me that symbolized the chaos of 1968, it was the morning I woke up and found out the Pueblo had been captured.' "
But the forbearance Johnson was willing to show in the Pueblo incident may well have been at the expense of growing North Korean defiance. Van Jackson, who was the Pentagon's top Korea adviser during the Obama administration, says the ship-seizing episode strengthened North Korea's belief in its strength as a David versus Goliath. "It was a hell of an embarrassment to the United States - it still is," says Jackson. "But for North Korea this was a very proud moment that emboldened them to do more of this activity - they look at America's track record of restraint and that's what they learned from." And that's the rub: caving in to Pyongyang's demand did ultimately free Pueblo's crew and avoid war. But North Korea seems to have learned from the episode that standing up to a military colossus - much as it's doing today with its nuclear weapons buildup - is a risk worth taking. Former crewman Chicca thinks if any other lessons were to be learned from the Pueblo incident, they were likely lost on the U.S. Navy. "I think they would prefer to forget it occurred," he scoffs, "and the Pueblo is an Indian village in the desert - not a ship".